On our recent adventure to Mexico, we ate more tacos + salsa, and drank more margaritas than I have in my entire life—all in one week. And if I wasn’t already a huge fan of Mexican food, I certainly am now. 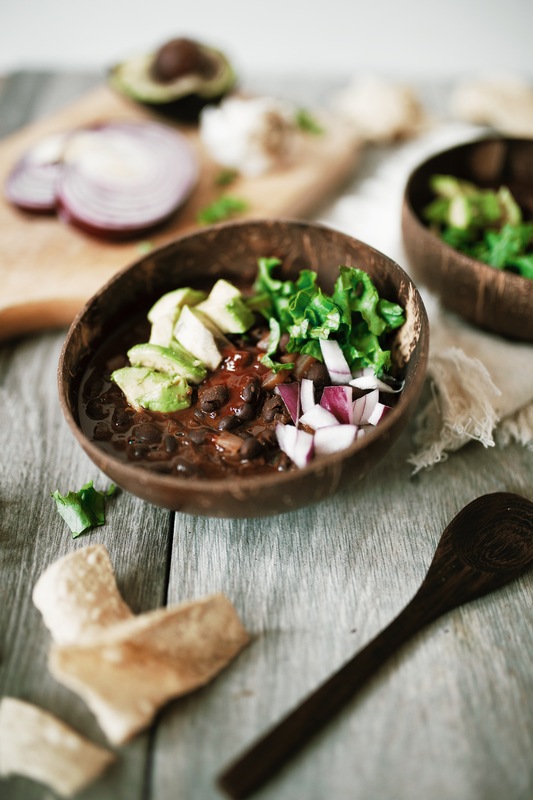 Today I am sharing a super simple soup—inspired by the spices + textures of Mexico. 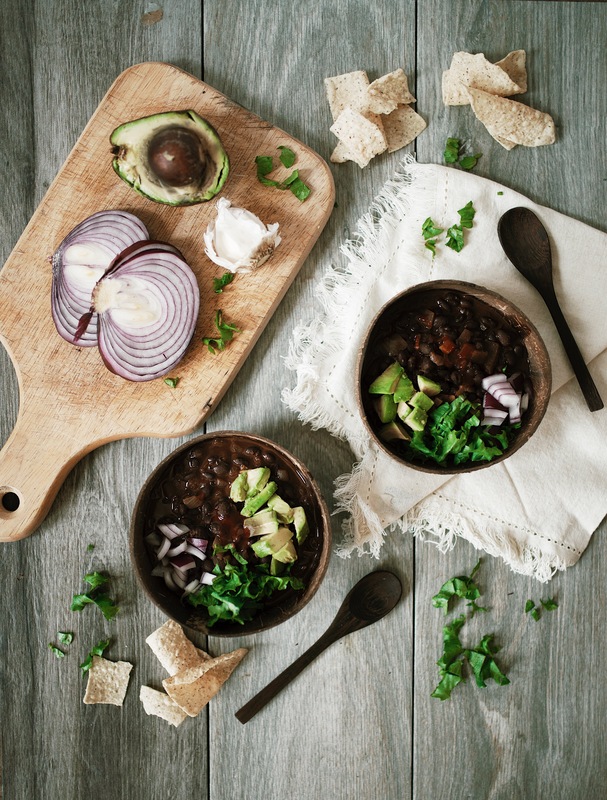 Say hello the your new go-to Mexican Black Bean Soup! This soup has become a favorite since our trip (we haven’t been home that long and I’ve made it at least twice a week since). 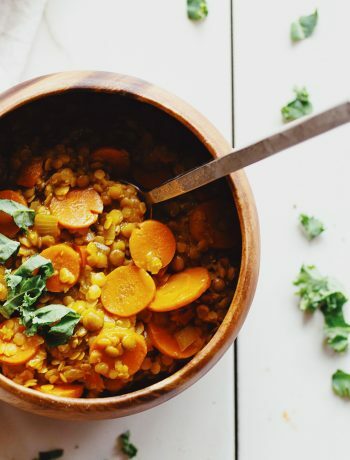 It has super simple ingredients, and comes together in 30 minutes + in one pot—aka minimal dishes to clean up. 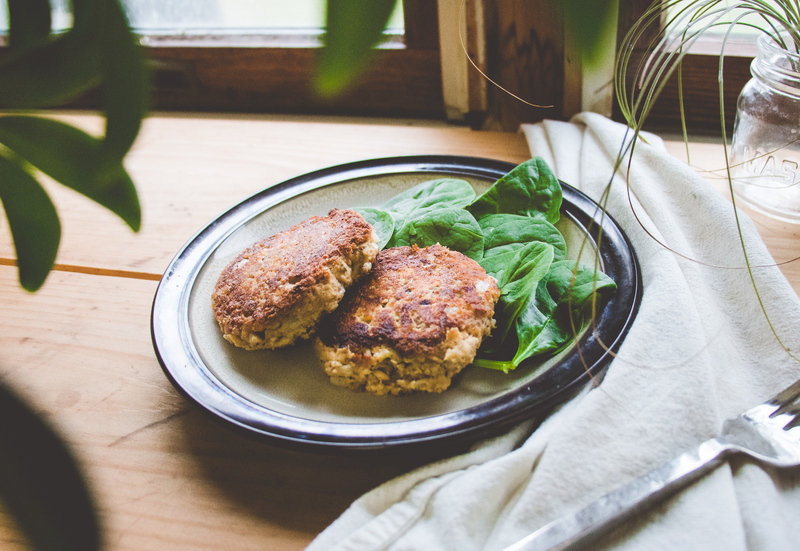 It is flavorful, versatile, + makes great leftovers. I love using chipotle peppers in my Mexican food—they are incredible spicy + really elevate a dish. If you’re not into the spice, leave them out—no judgement. 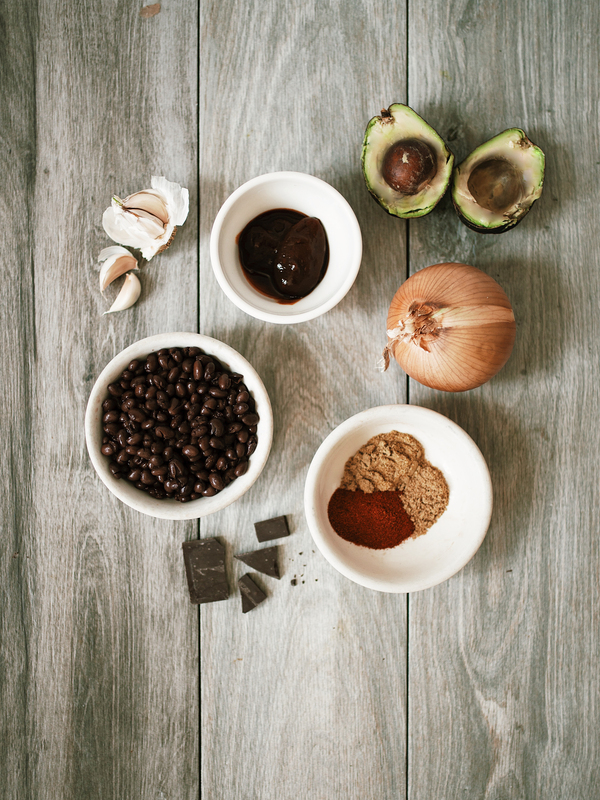 I also love adding a little dark chocolate to this soup. 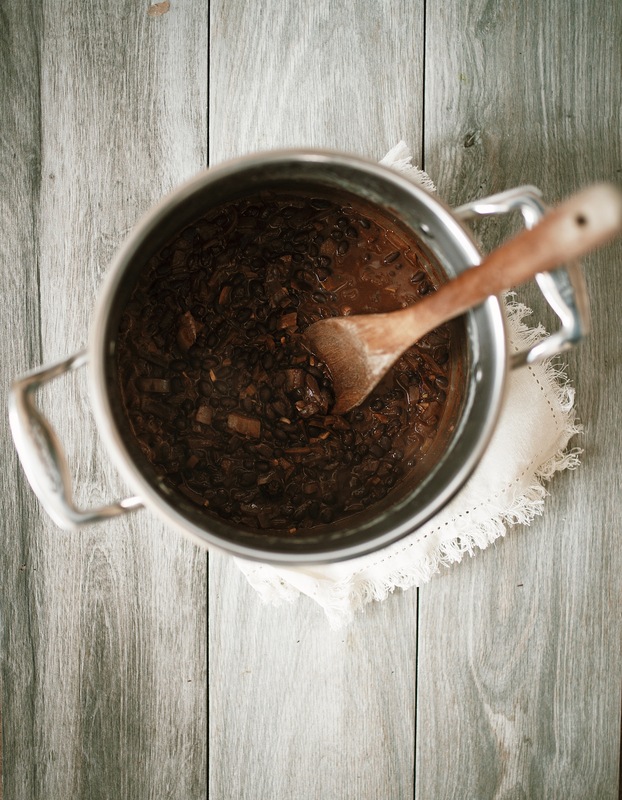 Yes: spicy, dark chocolate, + black beans. The combo may sound strange, but trust me—the combo is worth drooling over. For more Mexican-inspired recipes, check out my vegan mexican jackfruit bowls, southwest sweet potato bowl, easy cashew queso, or my guacamole salad. 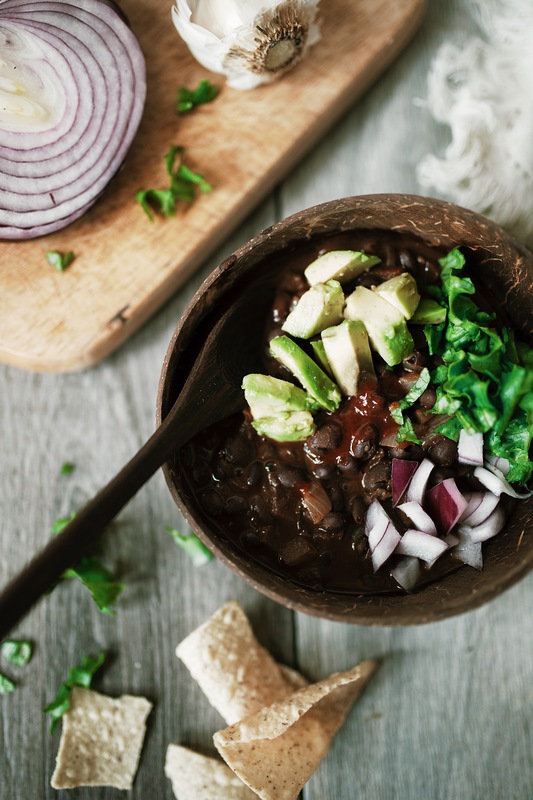 This Mexican Black Bean soup is super simple, made in one pot, and is inspired by the delicious spices + textures of Mexico. In a large pot over medium heat, melt coconut oil. Add the onion, garlic, salt and pepper. Sauté for 5 minutes or until fragrant and onion is translucent. To the pot, add the black beans, vegetable stock, chili powder, cumin, chipotle peppers, and dark chocolate. Bring mixture to a boil then reduce to a simmer. Cook for another 15 minutes or until slightly thickened. Remove pot from heat and serve with optional toppings. Leftovers will keep for up to 5 days refrigerated in airtight container. *You could also use 2 Tbsp. of cacao powder though I find dark chocolate to be richer. I love Hu Kitchen dark chocolate. 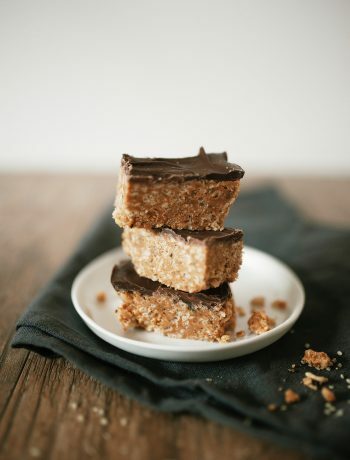 Nutrition information is a rough estimate of ¼ of the entire recipe without toppings.